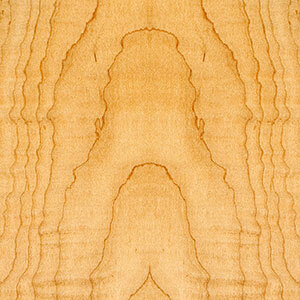 Description: Sapele Mahogany is a commercially important wood and is the primary replacement for Genuine Mahogany. It has a range of attractive figures and can produce a ribbon figure. The heartwood and the sapwood are resistant to preservative treatment. Sapele is typically used for furniture and cabinet making. A Sapele Mahogany Wood Countertop is a great choice for any kitchen because it can be brought to an excellent finish. Color: The heart wood darkens to a red-brown or purple-brown on exposure. The sapwood is white to pale yellow. Sapele Mahogany Facts: The tree typically grows to be about 150 feet high (45 meters). The trunk grows to be about 4 to 6 feet (1.2 to 1.8 meters) in diameter. It is used for furniture and cabinet making, office furniture, doors, stairs, window frames, boats, and flooring. It is used for the top, sides, and back of acoustic guitars. 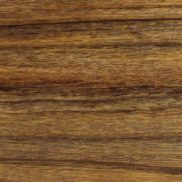 Sapele is also used for the neck piece of ukuleles and the tops of electric guitars. Cadillac uses sapele wood for their interior wood trim on their vehicles. Sapele is available FSC certified.